One more car! 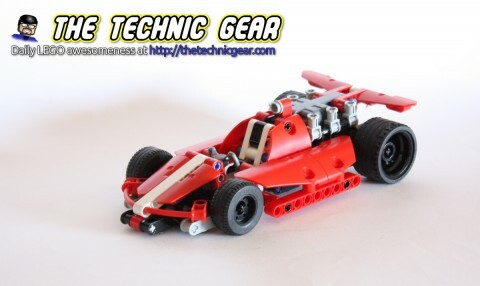 I found recently myself completing an order to Amazon with this little lovely race car that I built with my son assistance. As he insisted we decorated this one with the stickers ( Booh!). 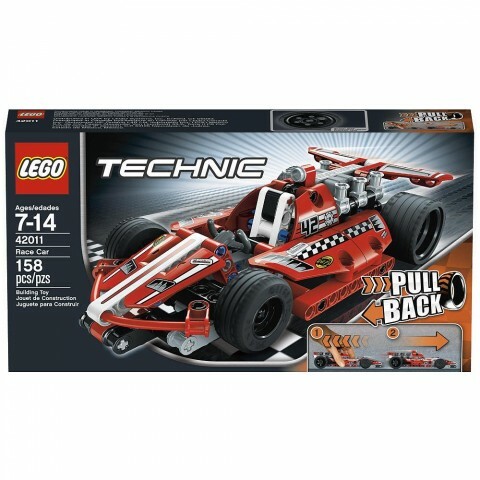 The super-fast, super-sleek, super-cool Race Car is the perfect introduction to the exciting world of LEGO Technic. This realistic 2-in-1 street racer features easy-to-follow instructions, colorful styling and a unique motor – just pull back, release and watch it fly! Have hours of fun racing to the finish line! For an even more action-packed play experience, combine your model with the 42010 Off-Road Racer for a super-fast Dragster with pull-back motor, adjustable rear wing and opening cockpit! 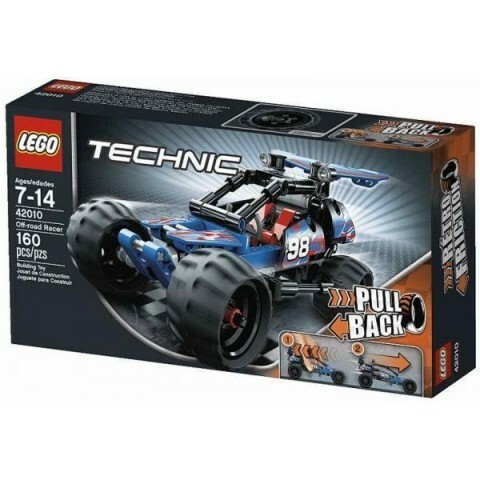 As this model is part of the LEGO Technic cheapest most basic range, the box is small but contains a decent amount of pieces. 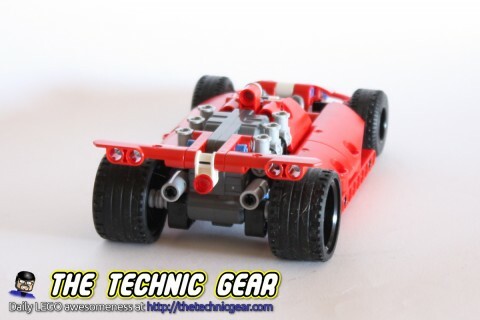 As it is stated on the box this model can be joined with the 42010 Off-road racer to create a dragster car. It isn’t really explained anywhere but the model that results from joining both 42010 and 42011 uses just one pullback “motor”. I haven’t tried myself, but I have read quite a few reviews that says that the extra model isn’t really that cool. 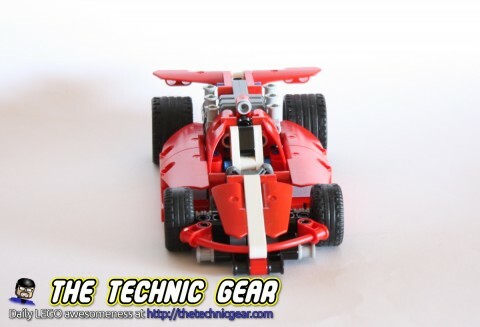 This is a small but fun LEGO Technic model. It isn’t really complex and you can have it built in around 30 minutes. Really, don’t expect anything complex or challenging in this model. 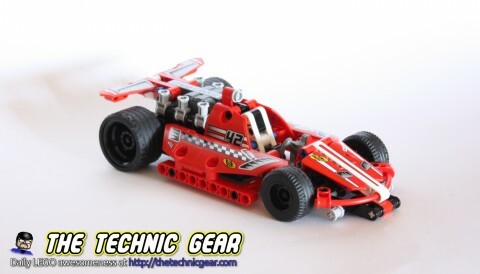 So this is the complete Racer Car without any stickers. 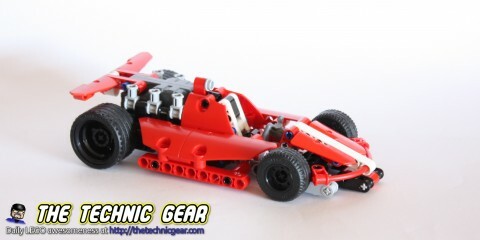 The front of the car is really quite nice for such an small model with so little parts. LEGO designers did a notable work with the fake motor where six connectors imitate the real motor’s pistons. It won’t be fair to give a score to this model without sharing with you the amount of frustration this little car generated on my son and me. After several failed attempts I finally realized that the wheels where slipping on my floor. ( Using different wheels saved the day ).